Classic Culinaire was founded in 2008 by Executive Chef Chad Carlstedt. The name says it all, Classic Culinaire. A classic never goes out of style. We serve Marin, Napa, Sonoma and San Francisco counties with our simple mission; Make the World More Delicious! From our highly trained chefs and servers to our delicious fresh food and presentation, we consistently maintain a level of culinary and service excellence that is unmatched. You can always rely on Classic Culinaire to provide a world-class culinary experience. 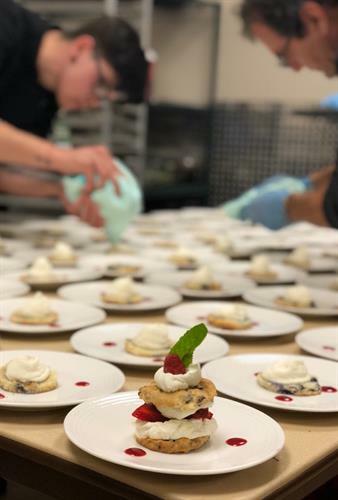 Whether it be a big Wine Country wedding, a corporate team building retreat, a swanky dinner party with friends, or any another special event, we are here to take the worry out of your food preparation and event planning needs. Please contact us today for more information and find out what Classic Culinaire can do for you.